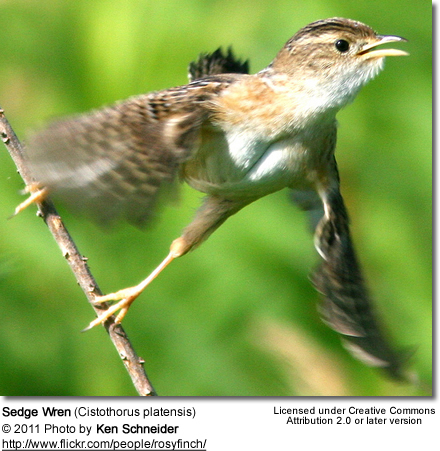 The Sedge Wren (Cistothorus platensis) is a small songbird of the Wren family. 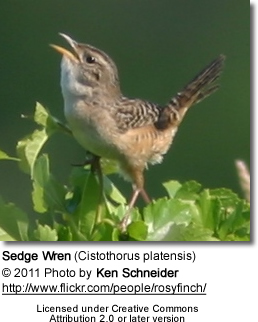 Similar species: Other wrens with indistinct superciliums (eye brows) are House, Winter and Rock Wrens. 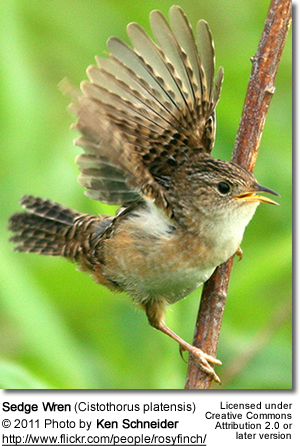 Winter Wren is more reddish-brown above, darker below and has a shorter tail. House Wren lacks white streaking on the crown and back and is less buffy on the underparts. 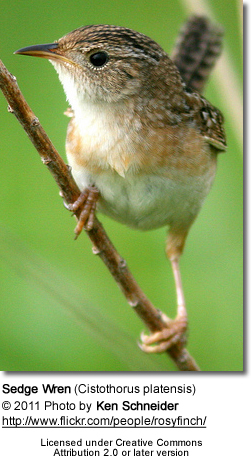 Rock Wren is larger with a contrast between the gray back and brown rump and has buffy tips to the tail. Their breeding habitat is wet meadows and marsh edges in eastern North America and central Canada. 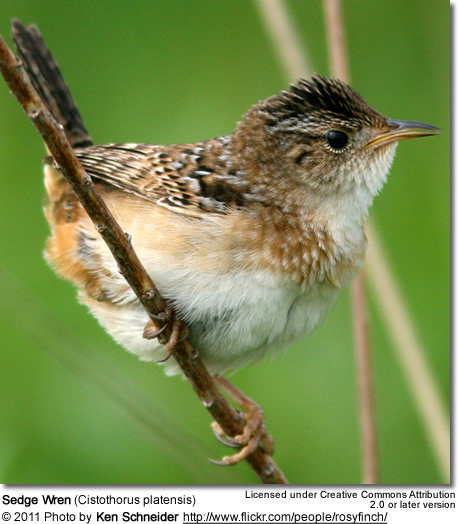 These birds migrate to coastal areas in the southeastern United States. This bird's numbers are declining, possibly due to loss of habitat. The nest is a round lump attached to low vegetation, entered from the side; it is usually well-hidden. The male often builds several unused nests in his territory; he may puncture the eggs of other birds nesting nearby.